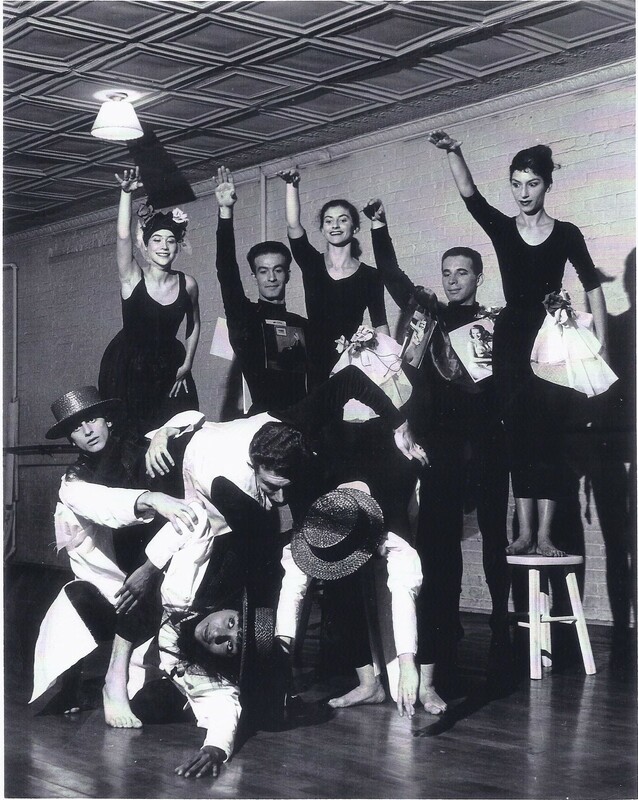 The New Dance Group was founded in 1932 by Nadia Chilkovsky, Miriam Blecher and other students from the New York Wigman School who wanted dance to focus more on social and political causes. 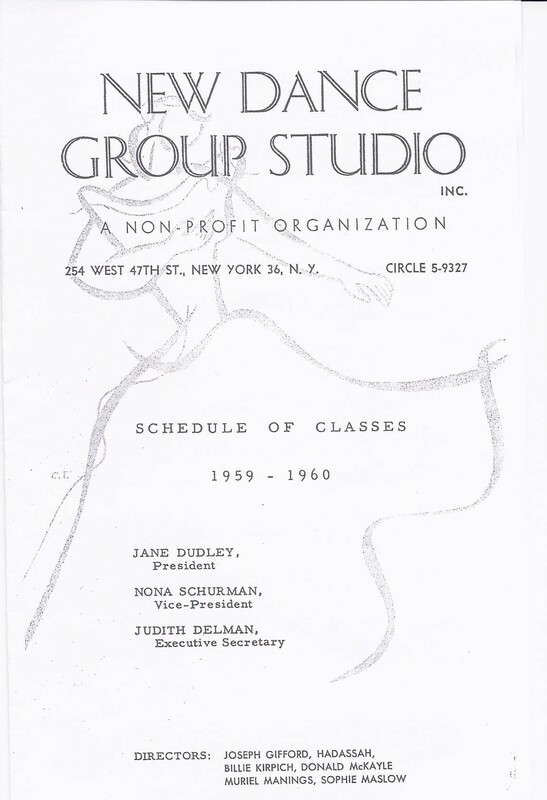 New Dance Group stated in their first program that “Dance is a Weapon of the Class Struggle”2 and sought to offer inexpensive dance classes to all ranges of workers and people alike. Classes cost ten cents and consisted of one hour of Wigman technique, one hour of creative work and one hour of discussion. 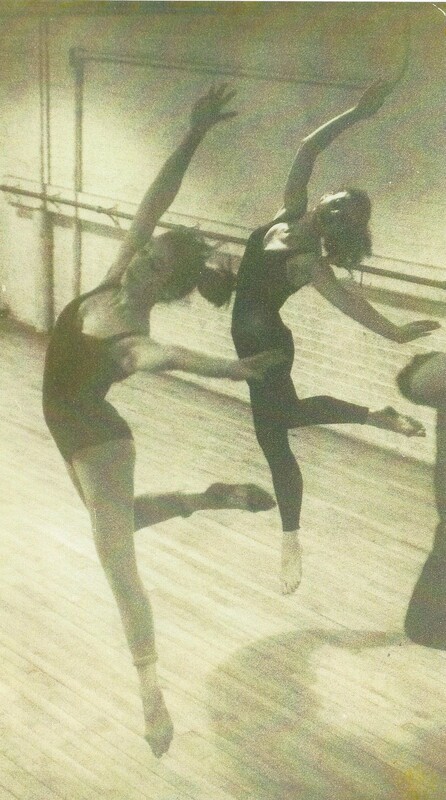 Gradually the interest in the proletariat “was replaced by a more general sense of humanity”3 and the curriculum branched out to include Humphrey-Weidman, Graham, eurythmics, percussion, folk, ballet and tap, in addition to the original Wigman and Holm technique. 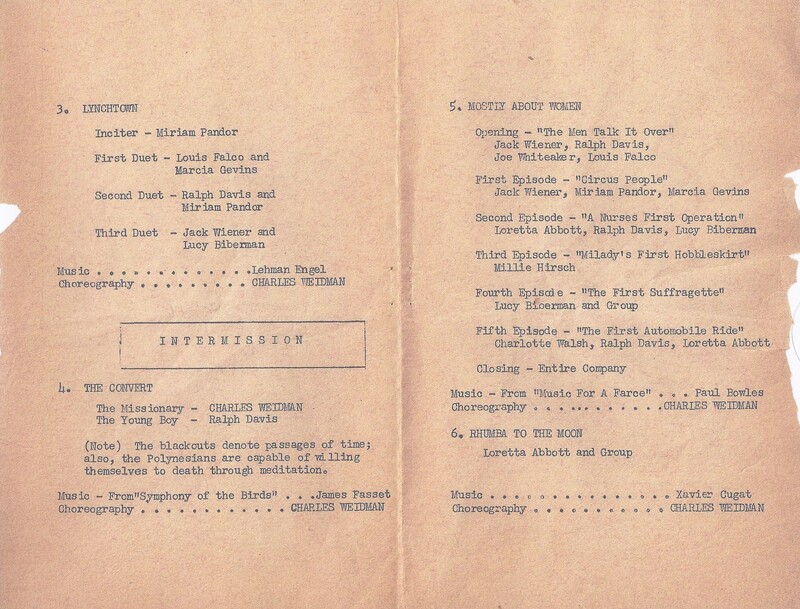 By 1934, Charles Weidman was giving studio talks and appearing on New Dance Group programs. Other Humphrey-Weidman men such as Bill Matons, William Archibald and Jose Limon were also early participants. Humphrey-Weidman technique became a staple, taught by Beatrice Seckler, Nona Schurman, Bill Bales, Joe Gifford and others. 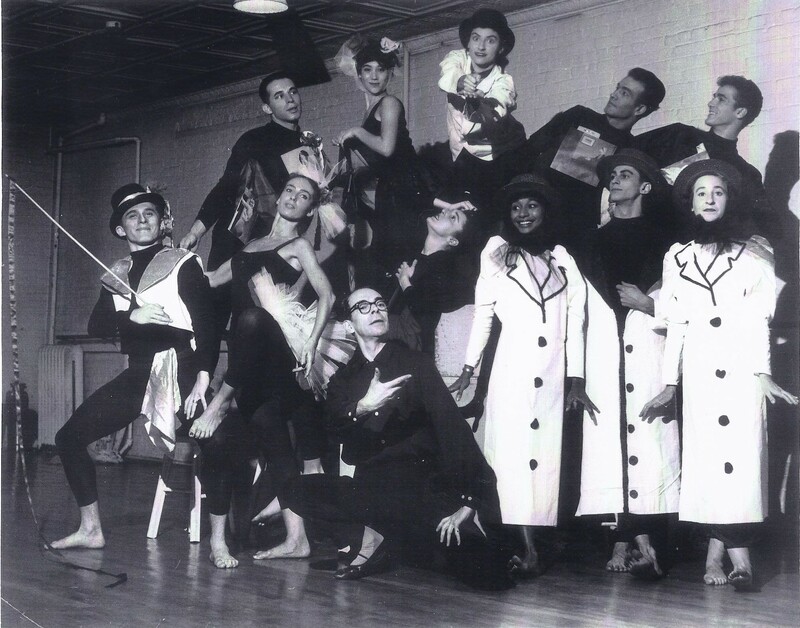 Weidman continued his association with the New Dance Group at least until 1960, when he founded his own “Expression of Two Arts” studio on 29th Street. “Mostly About Women” by Charles Weidman. Top row from left to right: Murray Berkowitz, Millie Hirsch, Lucy Biberman, Joe Whiteaker, Louis falco. Bottom row:Jack Wiener, Miriam Pandor, Charles Weidman, Marsha Gevins, Loretta Abbot, Ralph Davis, Charlotte Walsh. 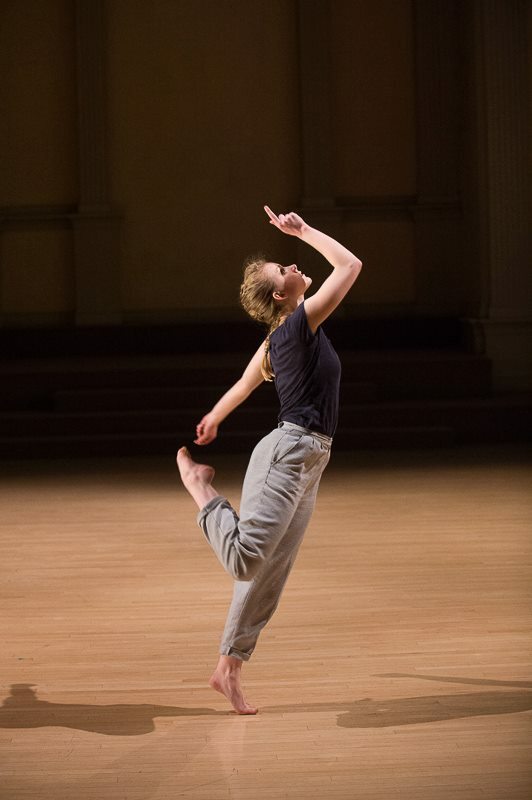 At the 92nd Street Y’s extraordinary celebration of the New Dance Group this past February, we had the opportunity to learn about Weidman’s later work at the New Dance Group. 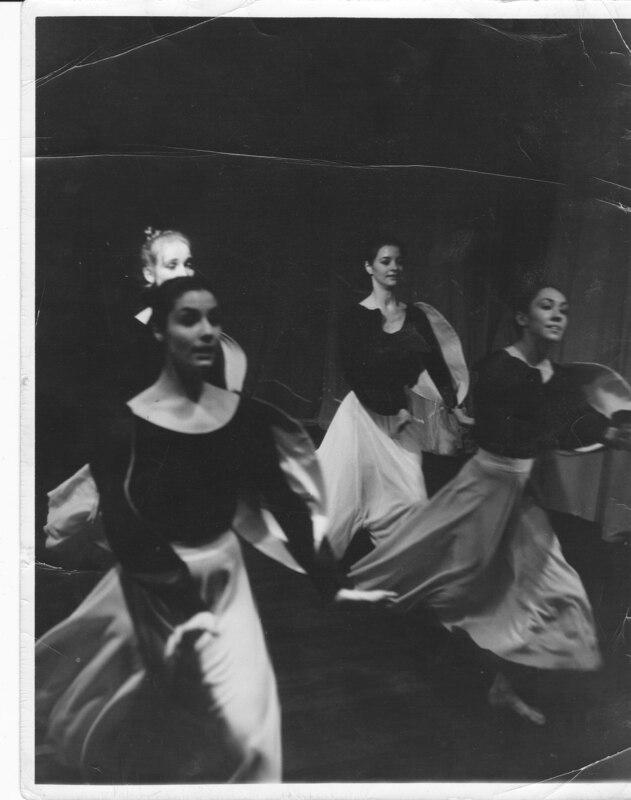 Dancer and dance educator, Millie Hirsch Rockefeller, presented photos, programs and class schedules from this time, as well as information on two dances not previously included in Weidman chronologies, “The Convert” and “Mostly About Women”. 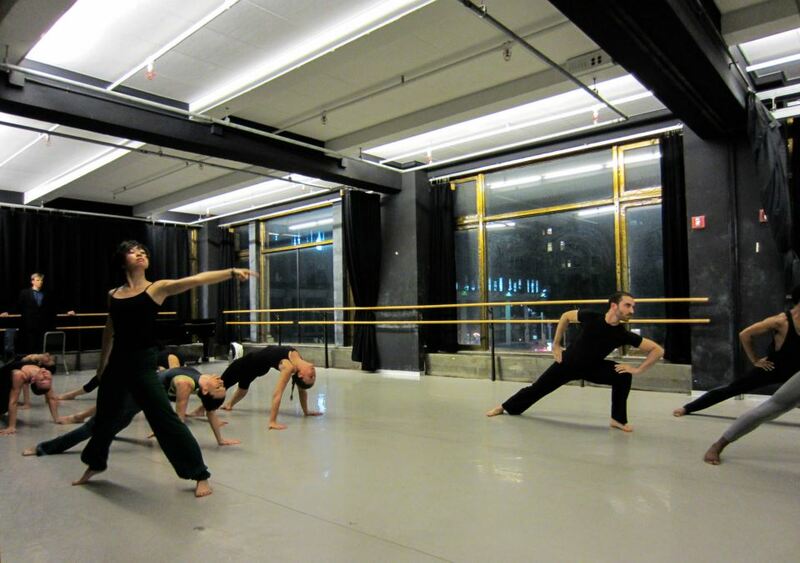 New Dance Group closed their doors in 2009 and now, unsuspecting dancers take class and attend rehearsals in what used to be New Dance Group studios, now DANY Studios operated by The Joyce Theater. 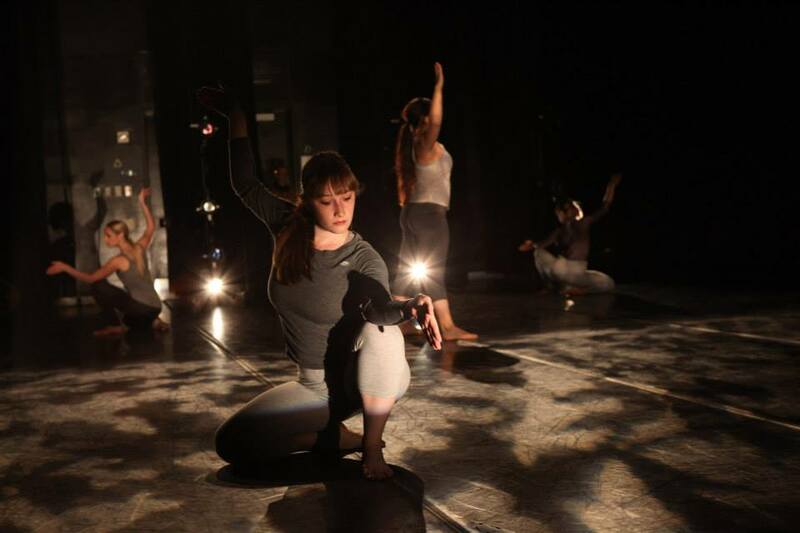 For more information on New Dance Group, check out this article by Victoria Philips. 1Lloyd, Margaret. 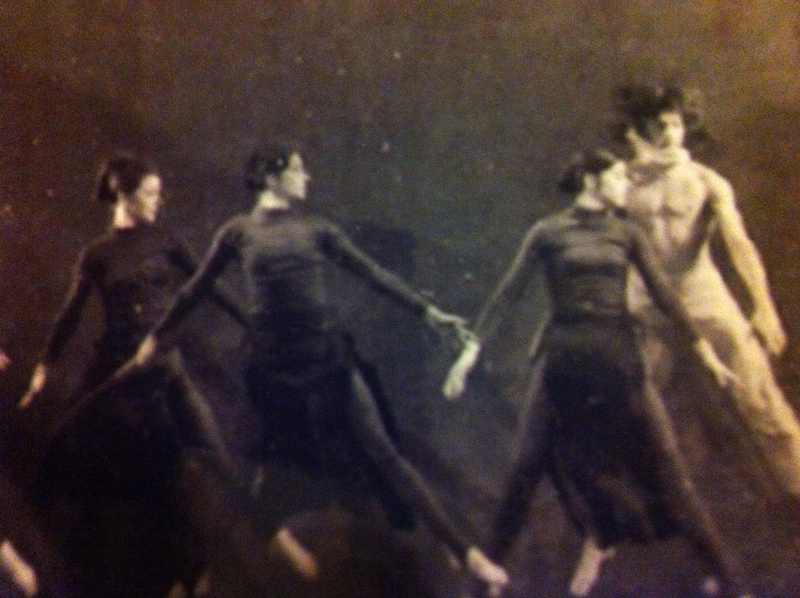 The Borzoi Book of Modern Dance, Dance Horizons, 1949. 2Philips, Victoria. 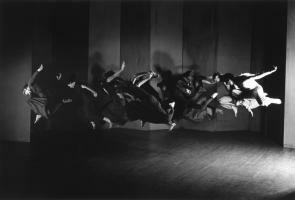 New Dance Group (1932-2009), Dance Heritage Coalition, 2012. 3King, Eleanor. 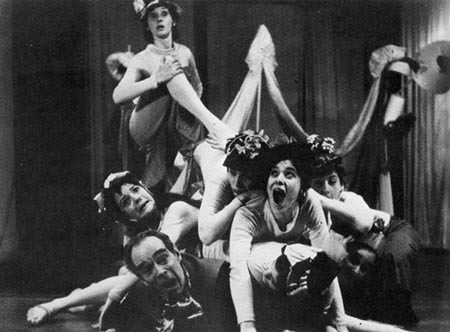 Transformations, Dance Horizons,1978. 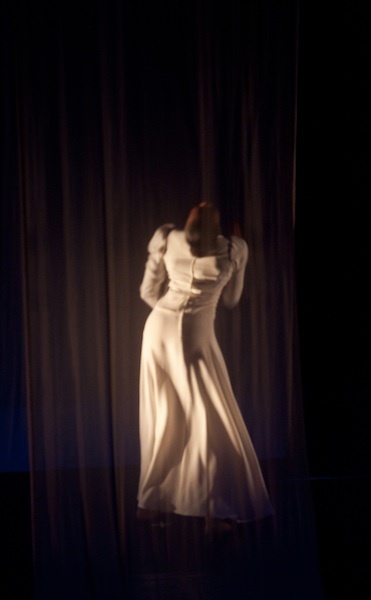 On May 17th, 2013, dance lovers and connoisseurs will have a rare opportunity to see the choreography of Pauline Koner. Preeminent Koner expert, Evelyn Shepard, has lovingly and painstakingly reconstructed three important Koner works that will be presented at the 92nd Street Y’s Fridays at Noon series. 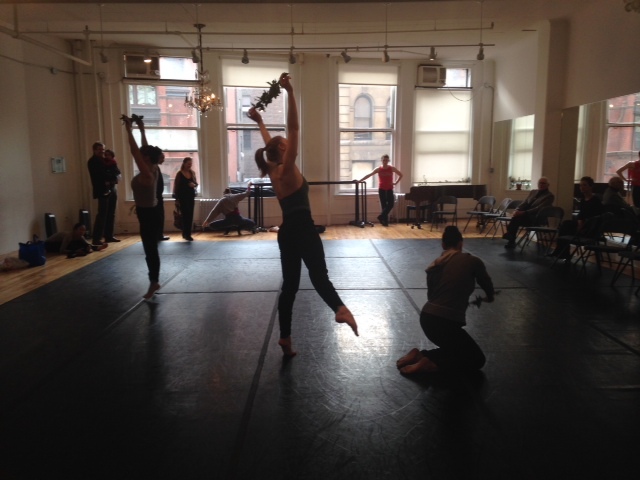 While dance maverick Pauline Koner is impossible to categorize, we consider her part of the Humphrey Weidman family. 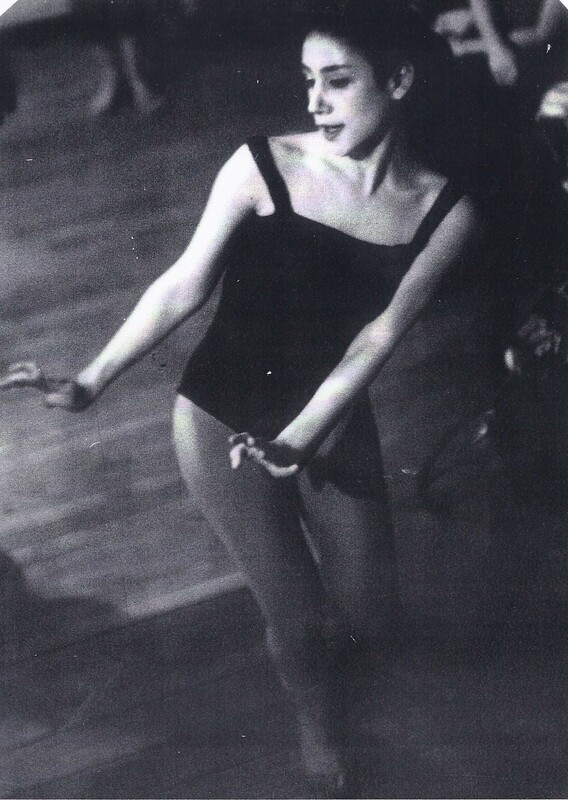 Pauline Koner’s initial dance training was with Michel Fokine. Early on she pursued her own solo career, while also performing extensively with Michio Ito and then Yeichi Nimura. 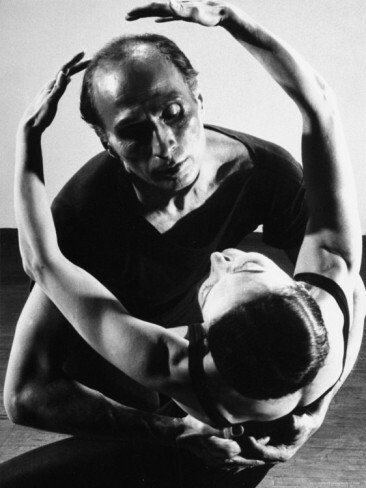 In the mid 1940s, seeking guidance in the choreographic process, she began a long association with Doris Humphrey. 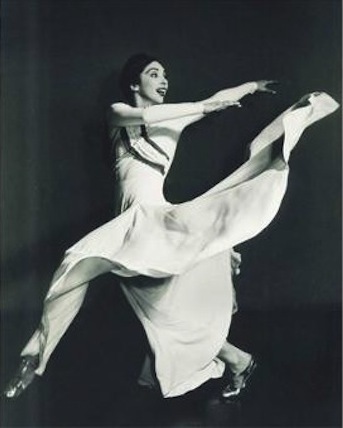 Especially memorable for her role as Emilia in Limon’s Moor’s Pavane, Koner was also a guest artist with the Jose Limon Dance Company from 1946-1960. 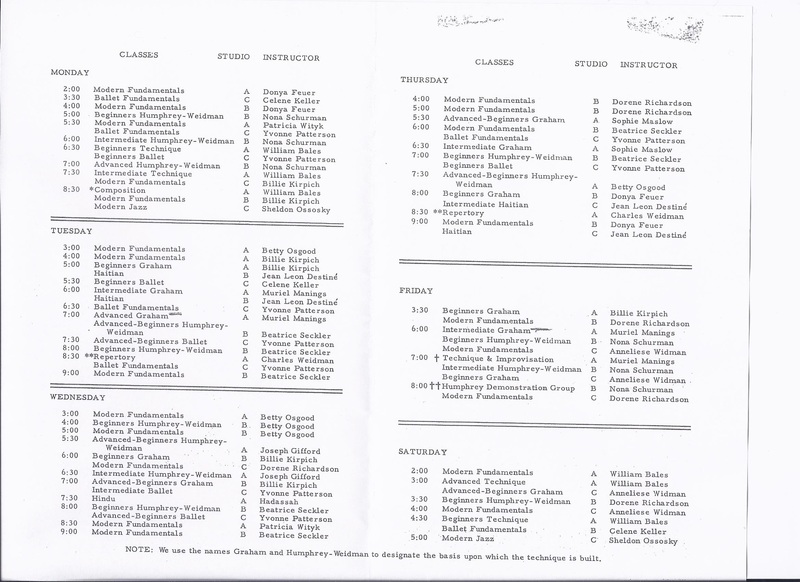 Also a noted teacher, Koner developed her famous course “Elements of Performing.” Her elegantly articulated concepts of breath, suspension, rebound, and weight could easily be part of a primer on Humphrey Weidman technique. Don’t miss this chance to see Pauline Koner’s artistic creations. Films will be shown in the lobby starting at 11:00 AM, followed by live performance and panel discussion at noon. To learn more about the event, visit the 92nd St Y website here. 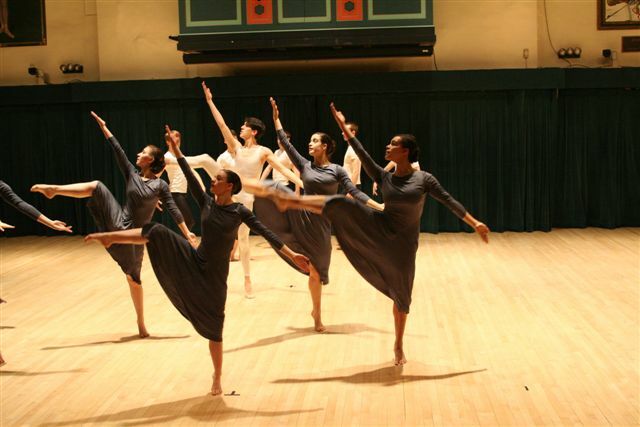 In 1967, Charles Weidman choreographed Easter Oratorio, a beautifully simplistic and joyous dance that premiered at the Expression of Two Arts Theater in NYC. It featured multiple sections including ensemble numbers and a trio for women all surrounding the topic of rejoicing at the resurrection. 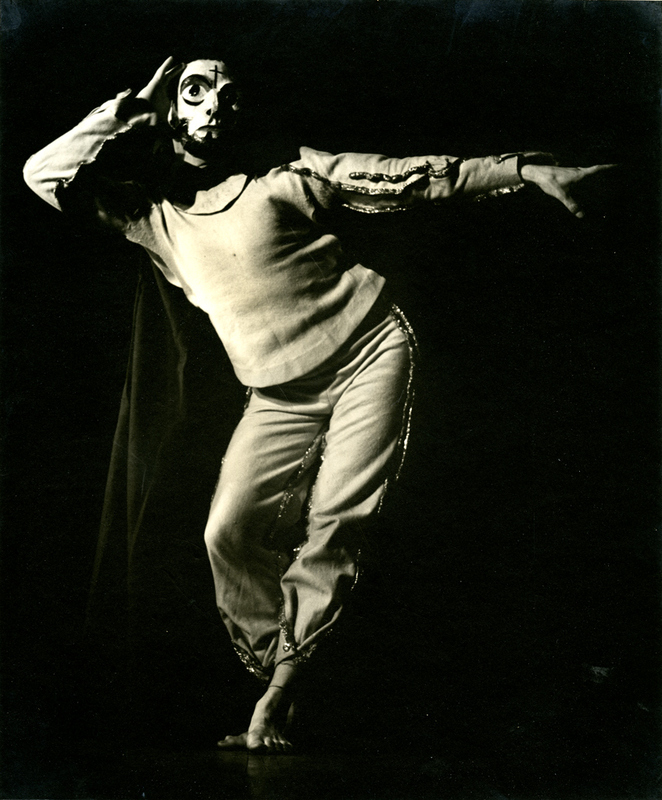 In the later part of Weidman’s career, his pieces took on spiritual tones which was unique to his previous genres of choreography. He especially focused on classical music by composers Brahms, Bach, Beethoven and choreographing joyous, grand, exalting movement. His first pursuit in this new tone was Christmas Oratorio to music by Bach created in 1961 followed by Easter Oratorio six years later also to music by Bach. Weidman believed that music and dance were one, and Easter Oratorio is a prime example of how his movement was inspired by the composition of the music. 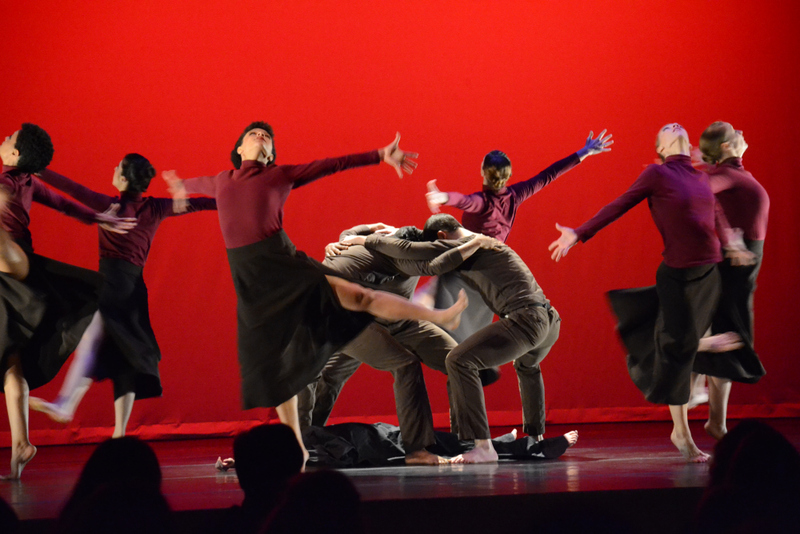 “Fugue”, the opening dance of the Oratorio, features an ensemble of dancers moving in structured sections in time and sequence with the music. A fugue is a compositional structure where a short melody or phrase is taken up by other instruments/voices at sequential, overlapping timings (think of “Row, row, row your boat” sung in a round). 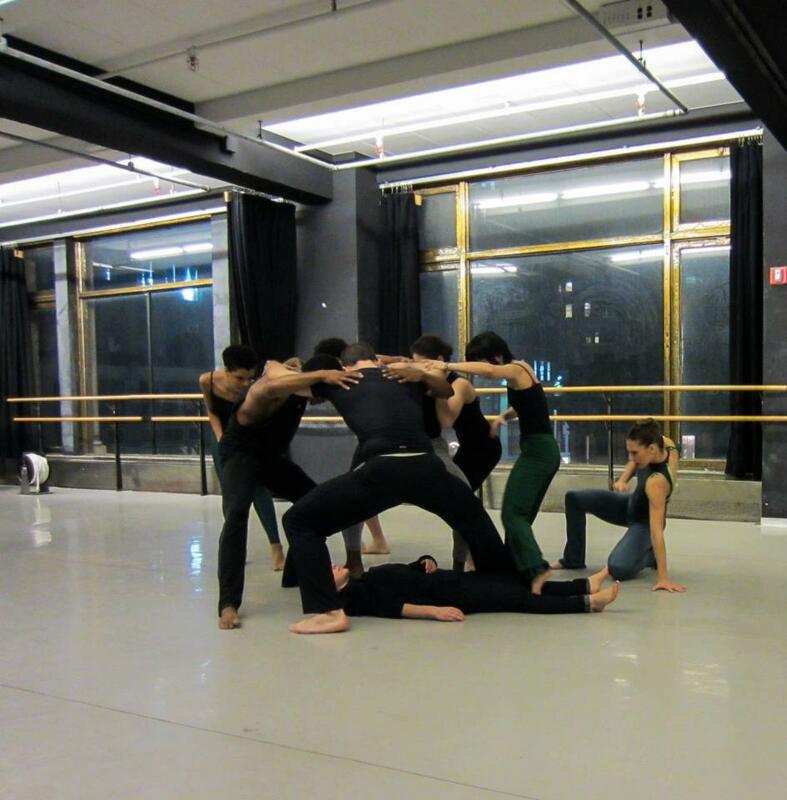 Weidman took these overlapping sections and did the same with his choreography; the women start moving with one theme followed by the men taking up the same or different movement overlapping the women to create a beautiful, yet mathematic assembly of elated bodies. Though Charles enjoyed following the structure of the music with his dance, he did so in an interesting way. 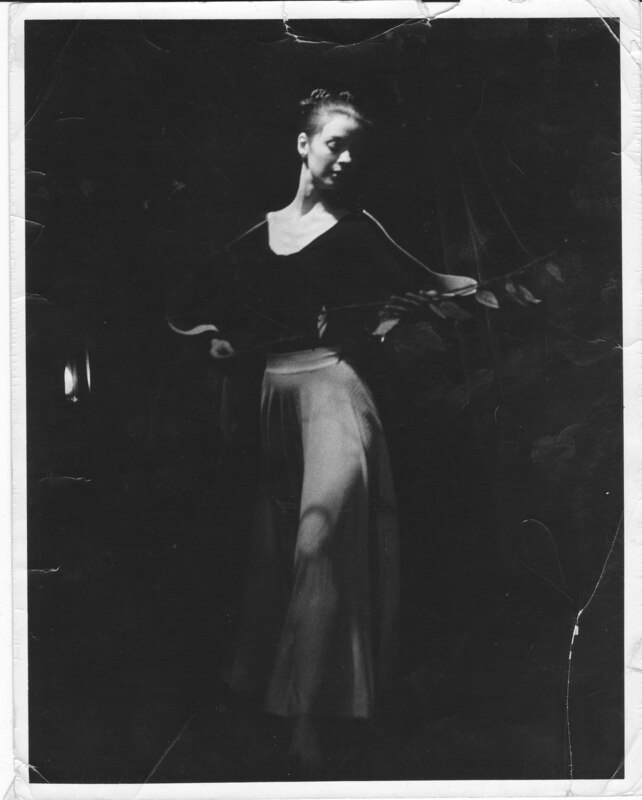 Margaret O’Sullivan (Foundation Vice-President and Weidman company dancer) reflects on how Charles choreographed to the music in a unexpected way. Instead of starting on the 1 of every six counts, the impetus for the beginning of the phrase was always on the 6, making the movement seem to spurt out and grow in a way the was organic with the music, but simultaneously following its own rhythm and flow. This gives the Fugue the impression of always rolling forward and creates a play between the push and pull of the music and the dancers. 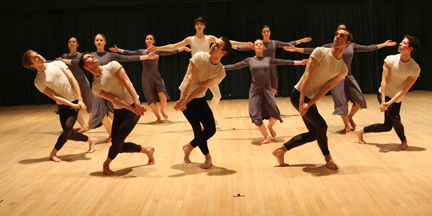 In 2010, the Charles Weidman Dance Foundation partnered with Tisch School of the Arts, NYU to re-stage and perform two sections from the Easter Oratorio. 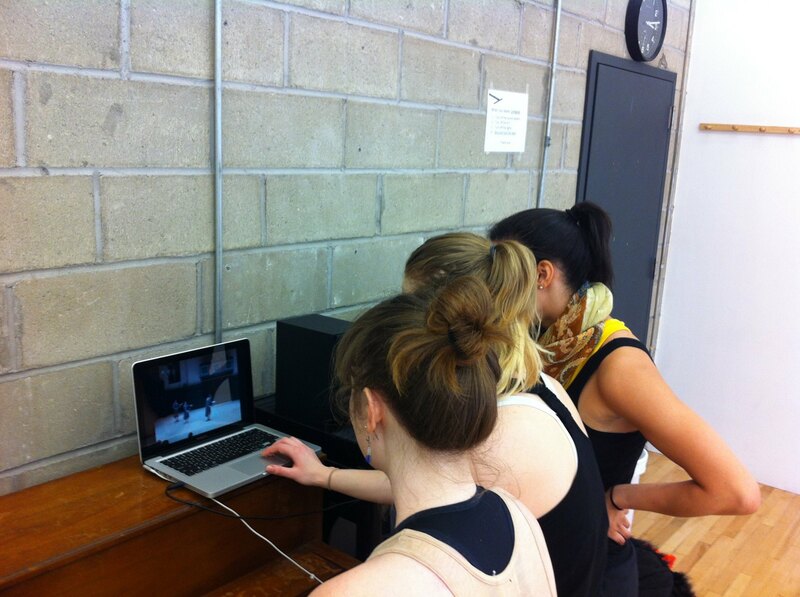 Janet Towner assisted by Margaret O’Sullivan taught the Tisch dancers the “Fugue” and the trio “Branches”. The two performances of these excerpts at the 92nd St Y and at Baryshnikov Arts Center were not only the first instance of Weidman/Bach performed to live music, but also the first time the excerpts had been shown in NYC since Weidman’s death. 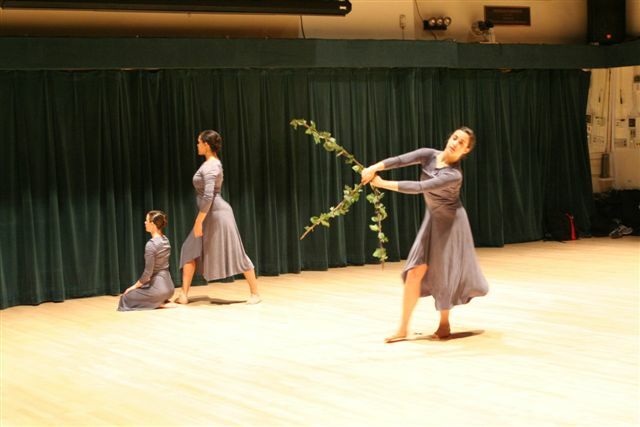 The trio, “Branches” features three women holding laurel branches and circling around one another in sweeping and jumping movement. 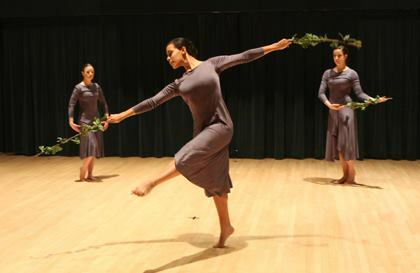 Each woman has a solo moment involving the first dancer with one branch, the second soloist with two, and the final woman wielding three branches in the formation of the cross. 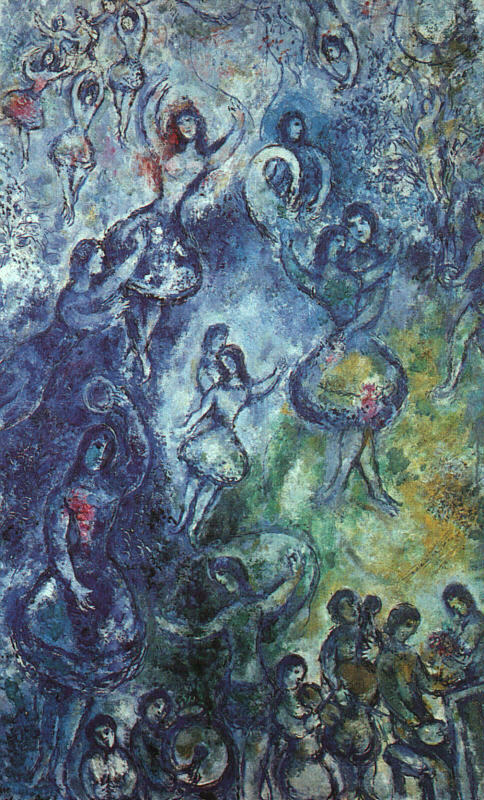 Each solo also contributes a different mood to the piece, the first stretching and arching on the floor with the single branch pointing to the sky, the second reaching and honoring with arms outstretched in a V shape , and the third swirling and whirling in praise and delight beneath the cross shaped branches. 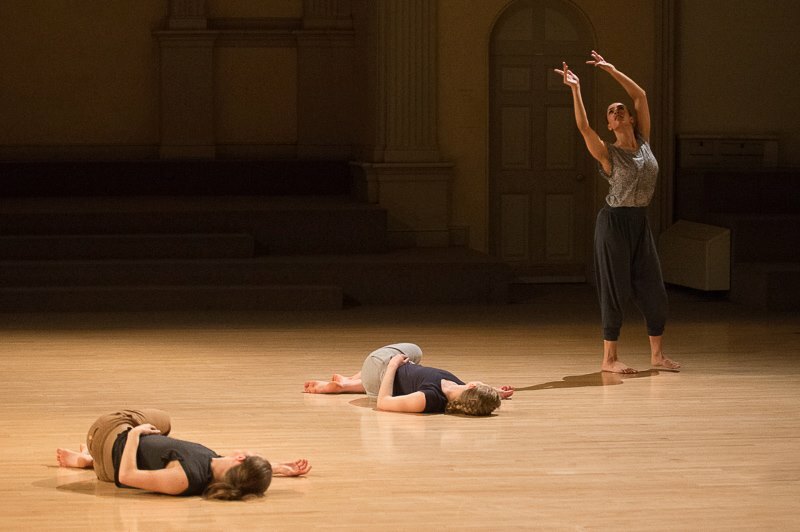 Elinor Rogosin in The Dancemakers: Conversations with American Choreographers speaks to how “the expression of the joy of the resurrection is the overwhelming mood in the piece” and how as an audience member, you “could have been eavesdropping on someone at prayer”. 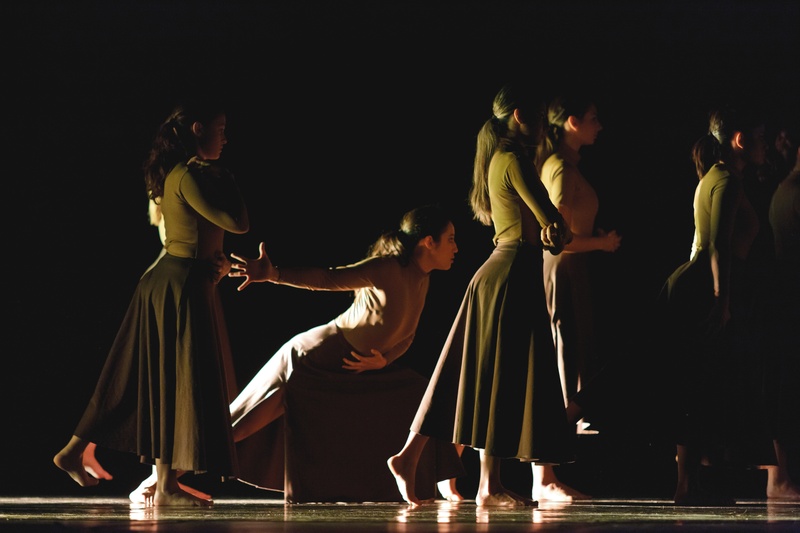 Rogosin comments on the simplicity of the choreography and the absence of acrobatic movement “creating a refreshing impact of naive expression”. 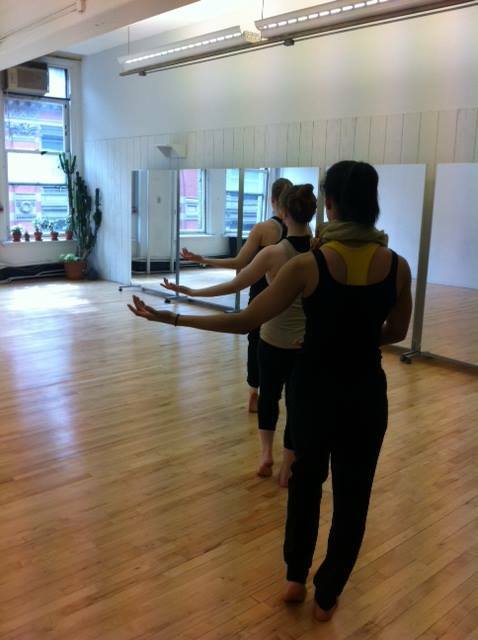 When learning Easter Oratorio, Tisch alumni Elizabeth Montgomery reflects on the technique of the face and chest in order to achieve the look of ecstasy: “I remember Margaret explaining to us the intention of “space in the face;” it should be as though you’re looking past whatever is in the room in front of you, as though you’re looking out into the horizon from someplace very high. Maintaining that energy in an of itself is exhausting. 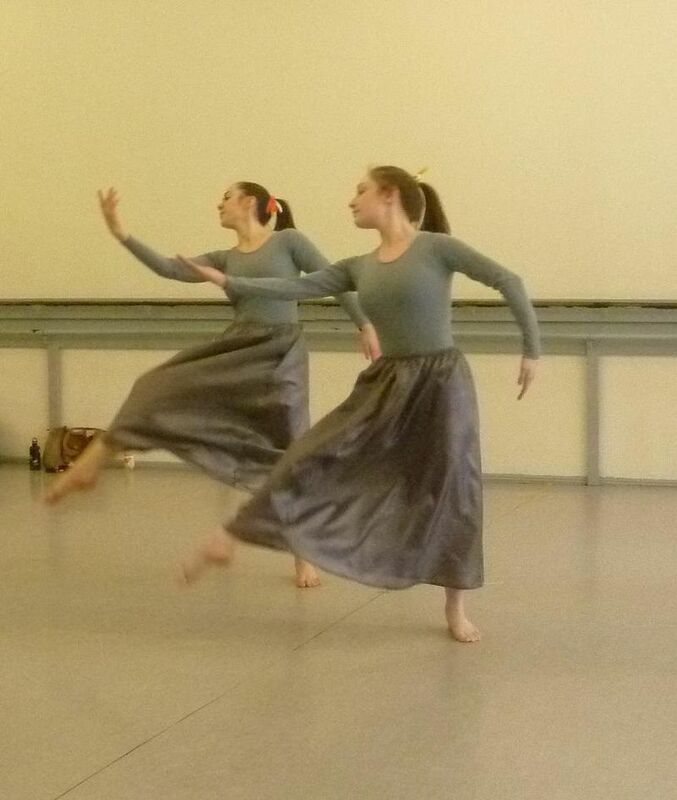 Now add the jumps, hinges, and pivots, and Easter Oratorio becomes one of the most challenging pieces I’ve ever danced, in spite of its choreographic simplicity”.